Replacing the locksets in your home is an easy project that updates the design of your space as well as the function. As you begin shopping, however, you’ll quickly notice that there are many different types of door knobs and locks to choose from. As you compare locksets, it helps to first distinguish whether it is for an exterior or interior door, whether it has a lock, and whether it will by a mortise or cylindrical lockset to help narrow down your options. Interior door knobs may be called interior locksets, tubular locks, passage locks, or spring-latch locks. The most common type available is the privacy lock, which has a push-button lock on just one side. 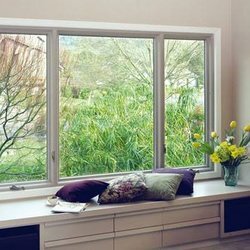 This style is usually used for bedroom and bathroom doors. As it is designed for privacy, but not security. The lock can be released from the outside by pushing a thin wire into the hole at the center. Another style is the passage door knob, which is used when privacy is not a concern. This style has two, non-locking door knobs or levers. When a latch is not needed, a dummy knob can be used. You can also choose among several types of finishes and designs. Interior lock sets can have oval or rounded knobs, or a straight, curved, or ornate lever. Popular finishes include brass, bronze, and chrome. Of the different types of door knobs and locks for interior doors sold today, the majority are cylindrical locksets that are easier to install. Some older homes require mortise-style door knobs. Exterior locks or keyed locks are heavier and more secure than door knobs for interior doors. Most exterior locksets come as a standard keyed set, an emergency exit knob that is made to be opened from the inside without unlocking, and dummy sets with a fixed knob that is paired with an active knob. There are many different styles of exterior door knobs, including those that can be unlocked with a key, a button, or a throw latch. For extra security, some locksets have built-in deadbolts. These deadbolt locks have no springs that operate the bolt, but are instead manually operated with a key or thumb turn. A single-cylinder deadbolt is operated from the outside with a key and with a turn button from the inside. Double-cylinder deadbolts are by far the most secure option and require a key on the inside and outside. 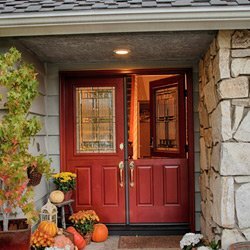 This is the best option for exterior doors with glass, as they prevent someone from breaking the glass and reaching inside to unlock the door. 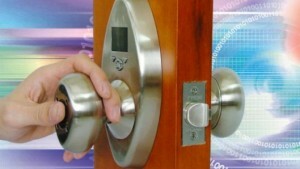 One of the newest styles of door knobs and locks is the keyless entry system. This style offers advanced security with visual and audio indicators to confirm the lock is activated. While there are many different types of door knobs and locks available today, there is no one solution that works best for every homeowner. It’s best to consider your needs first before choosing the right lockset, including a need for privacy and security, and whether the door is cut for a cylindrical or mortise-style lockset, which function differently, according to Locksmith Ledger.